The Kanger Arymi Gil Starter Kit includes both the Arymi Pro One Mod and the amazing Arymi Gille tank. 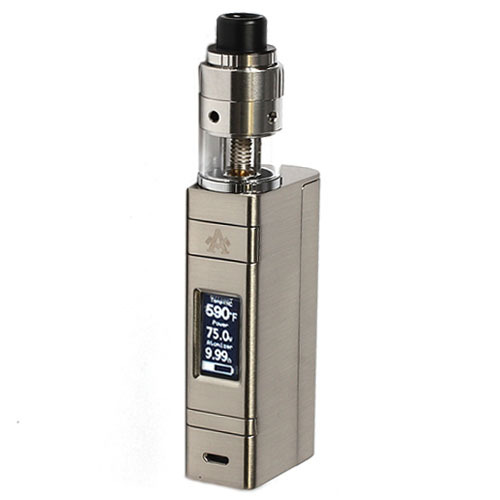 The Pro One Box-Mod fires up to 75w. It comes in a few colors you can chose between: Stainless steel, black and white. The Kanger Arymi Gil Starter Kit includes both the Arymi Pro One Mod and the amazing Arymi Gille tank. 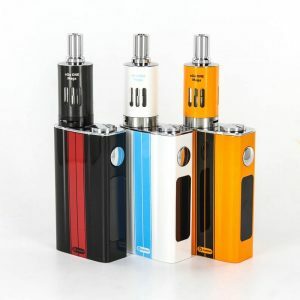 The Pro One Box-Mod fires up to 75w. It requires one high amp 18650 battery. The Pro One supports Titanium, Nickel, Ni-Chrome and Stainless steel wire in temperature control mode. The Arymi Pro One is a beautiful device, which has a unique design. It’s an amazingly comfortable device, which holds perfect in a palm. It slides perfectly right into your hand when you unbox it. 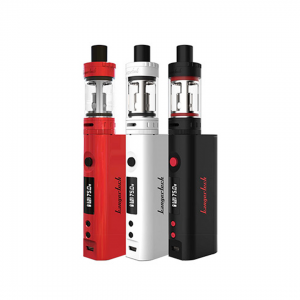 You just can feel the power in that small device, it also comes in a few colors you can choose from: Stainless steel, White and also Black. Still not impressed by this unique mod? 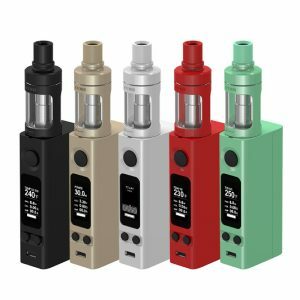 The Arymi Gille Tank utilizes 0.2ohm atomizer heads which feature an amazing and unique coil structure design. The coil design allows you to maximize the flavor and a smooth vaping experience. The Gille tank features a 3mL vape juice capacity glass tank. The Arymi Gille tank features four airflow holes and a leak resistant cup design.